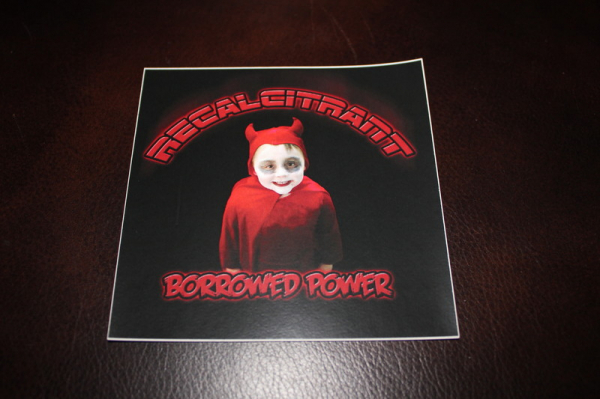 Check Out Our New Merchandise! 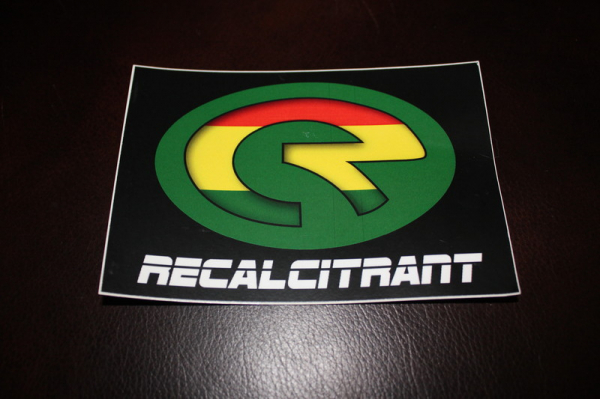 The Recal Decal features the Recalcitrant "R"(SMALL) Logo with your choice of Black or Green background. 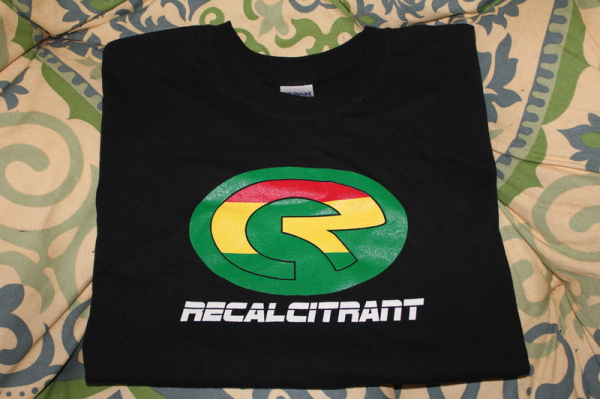 The Recal Decal features the Recalcitrant "R"(XXL 9"Wide) Logo with Classic Green Background.Represent! 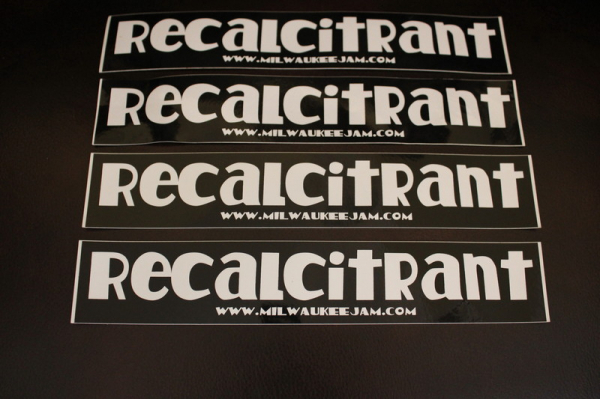 Recalcitrant Bumper Sticker W/Milwaukeejam web Url. 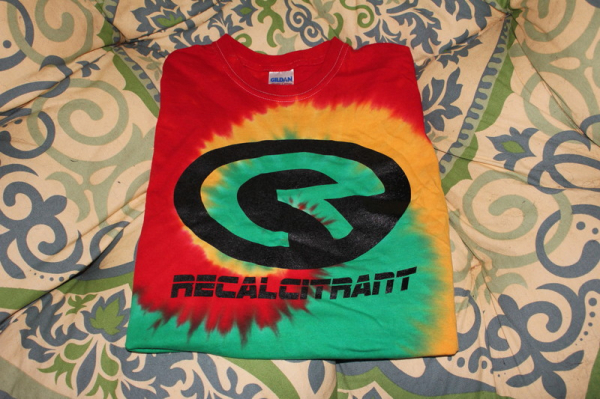 Recalcitrant Rasta TYE-DYE On Sale NOW! 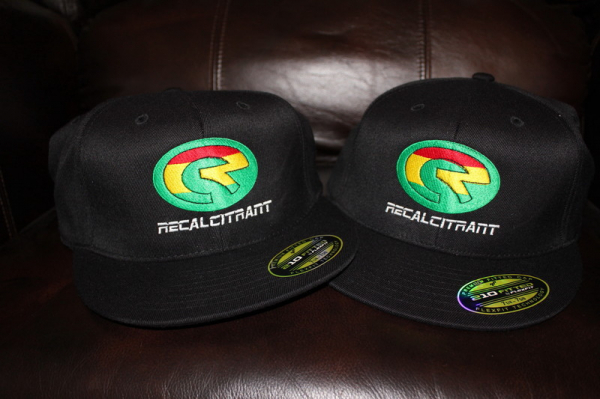 True FlexFit Flat Bill Cap. 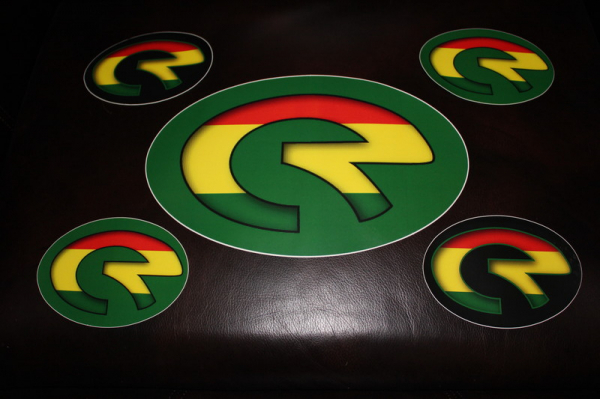 W/Large Embroidered "R"Logo W/Text MultiSize Fits: 7 1/4 to 7 5/8 Avail in Two Colors. 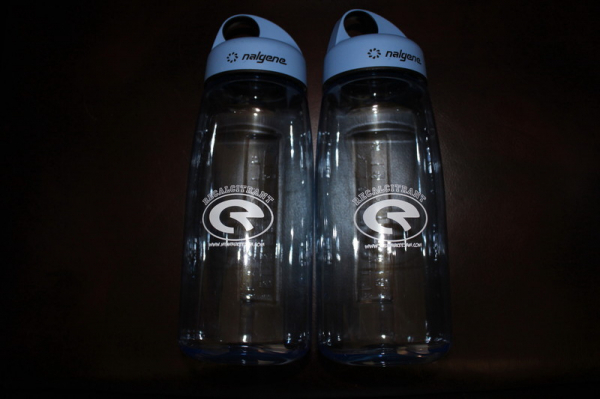 Black & White Tweed.